Rope Drop: A term referring to the time at which a Disney theme park opens. Making It To Rope Drop With Young Kids: The seemingly unreachable goal attempted by many enthusiastic parents visiting Disney World. If you are planning a Disney World vacation you’ve probably already heard the all important tip…”If you do nothing else, you must make it to Rope Drop!” Frequent visitors to Disney World will tell you that those first two hours of the day in the parks are absolutely critical to maximizing your vacation fun. If you are anything like most of us parents after you heard this, you thought to yourself…”How the heck am I supposed to get my entire family up, ready, fed, out the door, and to the park so early in the morning? This is never going to happen!” Well, stress not, fellow parent! 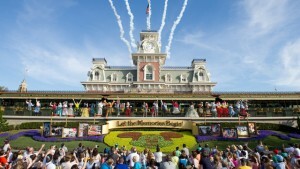 Follow these simple tips for an easier morning and an awesome viewing spot up front at the Magic Kingdom Welcome Show. Now, I’m going to assume since you are a reader of TouringPlans that you are not opposed to planning. I sure hope so, because making rope drop with young kiddos in tow takes a fair amount of effort in advance. But believe me, when you walk right on Peter Pan with no wait, you’ll be so glad you did the work! Believe it or not, making rope drop starts before you even leave home. Some good advanced prep work and packing is the key first step. Now grab yourself some Ziploc bags and let’s get busy! 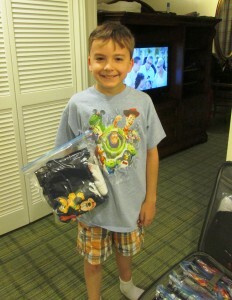 To speed up the process of getting the kids dressed each morning of the vacation, pre-pack their outfits in Ziploc bags. Fill each bag with a complete outfit, including shirt, shorts, underwear, socks, and accessories. Each morning you will be able to just open up a bag and help them get dressed. This will save time wasted arguing about what to wear or searching for that missing sock. Make one “Outfit Kit” for each of your children for every day of your vacation. If your children are still in diapers, take time at home to pre-package daily diaper supplies. First, take a gallon-size Ziploc bag and fill it with enough diapers for a day in the parks. Next, take a quart-size bag and fill it with baby wipes. Finally, take one more gallon-size bag and place inside disposable changing pads, the quart-size bag of baby wipes you just filled, hand sanitizer, diaper cream, and anything else you might need for a day’s worth of diaper changes. You’ve now made one “Diaper Kit”. Repeat the process making enough kits for every day of your vacation. Another way to save time each morning is by having breakfast in your room. Shop at home for non-perishable food items that are easy to pack like mini cereal boxes, granola bars, or baby food. Once you have your groceries, fill one Ziploc bag for each morning of your vacation with your breakfast supplies. Don’t forget napkins, paper bowls, plastic spoons, cups, bottles, bibs, and anything else you might need for the meal. You’ve now made your “Breakfast Kits”. Will you be bringing snacks for the kids into the parks with you each day? If so, pre-shop at home for your non-perishable treats like goldfish crackers, granola bars, raisins, 100 Calorie Packs, Go Go Squeeze, and toddler snacks. Once you have your supplies, fill a Ziploc bag of snacks for each day of your vacation. 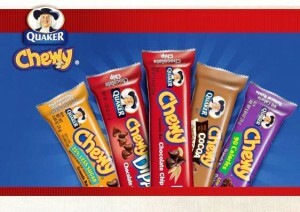 Now your “Snack Kits” are ready to go. What about lunch, dinner, or feeding your baby? If you will be feeding your children in the parks, fill a Ziploc bag for each day of your vacation with all of the supplies you’ll need. Be sure to remember disposable placemats, bibs, wipes, kid size utensils, bottles or Sippy cups, and anything else you might need for your meals in the parks. Even if you only have enough bottles or cups for one day, go ahead and make a bag with the rest of the supplies for every day of your vacation. Once you have washed your children’s dishes each night, it will be easy to just add them to the pre-made bag. And now you have your “Meal Kits”. The last kit to make is the emergency kit. You will only need to make one of these and hopefully, you’ll never need it! In another large Ziploc bag, place a complete outfit for each child, single doses of medications, a quart size bag filled with baby wipes, a trash bag, band-aids, and first aid cream. Now find yourself a big suitcase and pack it all up. Remember, a lot of what went into your “kits” are disposable items. Once you use these items during your trip, you’ll have plenty of space in this suitcase to bring home some fabulous new souvenirs. Most of us know how long it takes us to get ready for the day, but what you may not know is how long it will take you to get your children ready including a quick breakfast and sunscreen. While you are still at home, do a couple of trial runs and see how long it actually takes. This will be important once you are in Disney World. You’ve done your homework, now it’s time to put the plan into action! The work you do the night before will make the morning that much easier. Purchase any beverages you will need for the next morning from your hotel food court or gift shop and place them in your fridge. Wash any dishes, Sippy cups, or bottles that you will need for the next day. Pack up everything you will need for your day in the parks in your diaper bag or backpack. Grab a “Diaper Kit”, “Snack Kit”, “Meal Kit” (with the freshly cleaned dishes you just washed), and the “Emergency Kit” and place them in your bag. How easy was that? See your hard work is already paying off! Get out or let your kids choose an “Outfit Kit” so they are ready to go in the morning. Open up a “Breakfast Kit” and set the table. You may be wondering for what time to set your alarm. Now remember that trial run you did at home to determine how long it takes to get your kiddos ready from start to finish? Well, take that amount of time, plus how long it takes you to get ready, and add on an additional 75 minutes. Subtract that total time from park opening and you’ll have the time you will be setting your alarm. For example, it takes me 45 minutes to get my boys ready, it takes me 60 minutes (I know, I’m slow), and to that I add 75 minutes travel time, for a total of three hours. If the park opens at 9:00am, I’ll be setting my alarm for 6:00am. It is true that I could try to get ready for rope drop at the same time as my kids, but it is stressful and leaves us all feeling rushed. Yes, you’ll sacrifice a little bit of sleep, but it makes for a much more peaceful morning when you’re only concentrating on one thing at a time rather than juggling getting everyone ready at once. Now get some rest, you’ll need it! All of your preparation is going to pay off. Now it’s time for the final push! Let’s continue on with my example. At 6:00am, my alarm goes off. After silently fantasizing about throwing it out the window (I’m not a morning person), I get out of bed and spend the next hour quietly getting ready for the day while my boys get a little extra sleep. At 7:00am, it’s their turn to get up. We go through our routine of getting dressed, doing hair, eating a quick breakfast, brushing teeth, and putting on sunscreen and shoes. The morning goes smoothly, because I can focus on them. Everything for our day in the parks was packed up the night before, and I’m all ready to go. When our morning begins well and not rushed, we are all in better moods! At 7:45am, we leave our hotel room for the bus stop. We like to be waiting at the stop at least five minutes before 8:00am. The buses generally begin running one hour before park opening or at 8:00am in our example. Here’s another tip: If you are staying at a Disney resort hotel that has more than one bus stop, check with Guest Services to see which stop is the first for pick-up. In the morning, walk to that stop even if it is not the closest to your room. First thing in the morning, it is not uncommon for Disney buses to fill to capacity at the first couple of stops in a resort and then skip the remaining stops and instead head straight for the theme park. There is the possibility you could watch several full buses drive right by you before one with a bit of space stops to pick you up. Following this tip, my kids and I climb aboard the first bus of the day, and we are off to Magic Kingdom. With our plan, we normally arrive about 8:30am. A quick trip through security and the gates, and we are able to enjoy the Magic Kingdom Welcome Show before entering the park at the 9:00am opening time. Our plan has been a success and yours will be too! Are you exhausted just reading this? Thinking that this all sounds like a lot of work? Trust me, it isn’t nearly as complicated as it might appear at first glance. Besides, as a Disney World visitor, parent, and TouringPlans reader, you are obviously already an experienced pro when it comes to planning and scheduling. In the long run, a little bit of prep work will make your mornings smoother and allow you and your kids to get to rope drop so that you can make the most of your time in the parks! 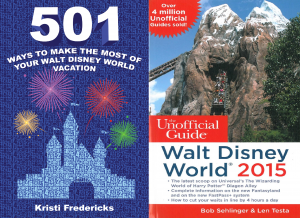 If you are looking for more Disney World tips and tricks, please check out my new book “501 Ways To Make The Most Of Your Walt Disney World Vacation“; a trusty side-kick to guide book Super Hero – “The Unofficial Guide to Walt Disney World“! Do you make rope drop with your young kids? Do you have any helpful hints for your fellow travelers? Please share; we would love to hear from you! 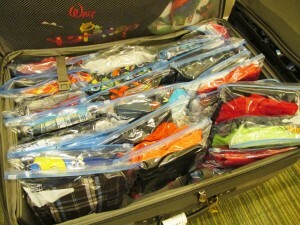 When my son was young though, I always packed complete outfits in ziplock – best packing tip ever for kids! Hi Amanda – I even pack my own outfits in Ziploc bags! It makes the mornings so much easier when I’ve figured out everything at home. I can basically get ready in my sleep! I tried saving time and space and money by packing my liverwurst & onion sandwich lunch in the same ziplock bag as the next day’s outfit. Not a good idea. I’m just saying. Oh man, rookie mistake – unless you’re on to something; wearing a liverwurst and onion scented outfit in the 100 degree Florida heat. 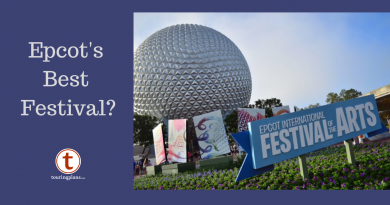 Maybe you can write a guest post – “How to Clear Out Queues and Have Little To No Wait For Disney World’s Biggest Attractions!” Clever, DisneyDad, very clever! PS Kristi — LOVE this over-the-top OCD planning article. This is exactly how I plan my vacations (mostly because the planning is so much fun!!!!) Love, love, love! Chris – My oldest will be a teen next year and I’m starting to get nervous. He still likes Disney and I’m keeping my fingers crossed it stays that way! We did rope drop several days this trip and it was well worth it! We didn’t like hearing our alarm clock go off in the morning, but loved being able to walk on to the Mine Train! We also walked on to Test Track! The whole day had a trickle down effect because we were able to walk on to some of the biggest attractions first thing in the morning. By the end of the week, my kids realized what a difference it was making. We stayed off Disney and it made a huge difference in where we were parked. No tram for us! Meredith – Don’t you just want to throw the alarm clock out the window when it goes off? But you’re right, it is so worth it to get there early. It is amazing all that you can see in the first couple of hours of the day! Agreed! My kids are typically waiting by the hotel door to get going much earlier than necessary! 9am feels like midday to us at home or on vacation! With that said, we usually leave the parks for a much needed nap/rest by Noon. But we have accomplished some much that it doesn’t feel like we are losing anything and we are ready to come back by 3/4pm! Nicole – You just can’t beat an afternoon break! Even though no one in my family naps anymore, we still take that time to relax and catch our second wind for the fun night ahead. And you’re right that you really don’t miss that much. The wait times in the afternoon are typically so long, that in the time you are resting you probably would have only seen a couple of attractions anyway. Great tip! Jennifer – We are those sleepy people you see on the bus every day! It’s strange, because we are up and ready early at home, too, but it is a struggle for us in Disney World. I think our issue is the drastic time change. We live in Colorado, so getting up at 6am in Florida is like getting up at 4am at home. Maybe we’ll have to start getting up a little earlier at home in advance of the trip and see if that helps. We do the Tinkerbell gifts every night of our stay and she always leaves each kid a new Disney themed tee shirt. Sounds excessive, but I use plan this to replenish their seasonal clothes as they grow. They are always enthusiastic about wearing their new shirts and finding out what Tink leaves helps get them hopping out of bed in the morning. Also, if you start the early morning Rope Drop tradition early in their life, they expect it on all their trips. Our 9-year-old joins right into our routine and encourages his sisters because he knows that this is the way we do it. The Tinkerbell gifts – what an amazing idea! Totally going to use it for my preschooler daughter on our next trip. Dawn – They usually have lots of cute stuff at dollar stores and party stores that work really well for Tinker Bell gifts. Have a magical trip! If the most difficult part of your morning is getting children’s feet on the floor, use your room phone and set up a wake-up call the night before for the kids to answer. The thrill of “talking” to a Disney character worked for years with our daughter. Now that she’s in college we still use the wake up call service because it’s a family tradition. Also, for parents of older pre-teens and teens – we found it easier to give up on rope drop park entry for a few years an instead took advantage of the really late night extra magic hours. Teens are at their best later in the day and evening, and attitudes are better! By the time our daughter was 17, she asked for a couple of rope drop mornings. Our family rope drop record: in the park at 6:45 AM for Harry Potter at Universal. Deb – The character wake-up call is a terrific idea as is your idea for teens to take advantage of the late night extra magic hours. Most guests find that they can visit several attractions during the last hours of the day after the fireworks are over. Many visitors are so exhausted at that point that they make a mad dash out of the parks which makes for very reasonable waits for the rest of diehard fans! And 6:45am at Universal is very impressive! Great article I have two quick follow up questions. It says that buses start running an hour before park opening. I was under the impression it was two hours. Am I mistaken? I do during times of year where the weather is more volatile? I’m going in January. Should I pack shorts and then have long pants in a different bag for a quick swap the night before, if needed? Hi Ali – According to Disney’s official information on their Bus Transportation page it says “Complimentary transportation is available from 45 minutes prior to Park opening until one hour after closing.” In my experience, the buses have always started running an hour before park opening. During holidays seasons, you may find them running even earlier and later. If in doubt, be sure to ask Guest Services at your hotel for the most up-to-date information. When I travel in January and February, I look at the forecast and make outfit kits according to what most days will be; so if it is looking warm for my vacation, I set them up with shorts, and put long pants and sweatshirts in to do the swap in necessary. If it is predicted to be cold, I set them up with pants and bring along the shorts separately. Be sure to pack hats and mittens, too. It can get really chilly (below freezing) at night in January! We went this past January and it was really cold at night! My girls wore pants and long sleeves almost our entire trip. One of our last days there, my youngest was so cold she had on pants, a short sleeve shirt, a long sleeve shirt, a sweatshirt a fleece jacket and a raincoat over it. Not to mention hat, gloves and a scarf. Even with all that on, she was still complaining so we ended up buying her a blanket out of the gift shop. We do all the ziploc bags as well…makes things so much easier in my opinion. Hi Dawn – So glad you liked the article! I love the Ziploc bags. They help out with the security bag check, too. A quick peek in your backpack and you’re on your way. I had several cast members mention how easy it made their jobs. And you’re right, January temps can be really cold. On one of our first winter Disney World trips, we ended up buying all of us coats it was so cold! How about some tips for getting our HUSBANDS up and out the door for rope drop? Lol! Sara – I hear ya! You’ll notice there is no mention of my hubby in this article although he often travels with us to Disney World. I learned early on that if I can wake him up so that he has just enough time to get himself ready and drink a cup of coffee, he has a much better time! 1. Apply sunscreen to your kids on the bus. I was able to sunscreen all three of my kids on one bus ride to a park. Heidi – Love your tips! When my kids were really young, we found that they were always ready for their morning snack when we arrived at rope drop, because they had already been up for so long. And you are absolutely right about the chocolate, we learned that the hard way too! Re: “1. Apply sunscreen to your kids on the bus. I was able to sunscreen all three of my kids on one bus ride to a park.” ONLY if you are NOT using spray sunscreen!!! We did the gallon zip bag trick, too for outfits and having a pre-packed snack ba g for each day. Worked really well for us! i am not a morning person, not by a long shot. But it is worth it to get a jump on the day! Hi Kacie – I’m not a morning person either, so anything I can do in advance to make the mornings go more smoothly, I will. I still pack my kids outfits in Ziploc bags and they are 9 and 12 now. It just makes it so much easier, plus I don’t even unpack. I bring a collapsible laundry hamper for the dirty clothes and leave all of the “outfit kits” in the suitcase the entire time. I want to spend every moment of vacation having fun! We try to get to the parks early, but I think we’ve only ever made “rope drop” once or twice. But I’ve found you can still enjoy shorter lines and smaller crowds as long as you arrive within an hour of opening time. In any case, these are great tips for speeding up the morning routine with small children — regardless of what time you get started. Thanks, Virginia! Glad to hear you liked the tips! Love the article! Planning my first family trip to WDW for May 2015. Definitely going to try some of these. I am curious how families handle the end of the day if they are up so early. We did Disneyland last year and the biggest challenge was leaving the park at a decent time! It wound up that we would do rope drop in the morning, take an afternoon break and then return to the park and shut it down. LOL. The next day always had to be a down day or something that did not start so early. Worked well on that trip as we had a lot of beach time and other activities planned, but this next one will be quite different as it is pretty much just Disney. Dawn – Those are great tips! We often do the same pattern as you: Magic Kingdom Day, Hollywood Studios Day, Epcot Day, Rest Day, Epcot Day, Animal Kingdom Day, and end with a Magic Kingdom Day. It’s nice to alternate between a busy day and a more relaxed day. We also avoid the park with the early Extra Magic Hours, because that is just way too early for us! Hi Kim – The way we handle the end of the day has changed throughout the years. When my boys were very young (under 3 years old), we only visited the parks from rope drop to 4pm. We would leave for an early dinner, bath time, and to have them in bed by 8pm. We would pick one night during the trip to stay late until the fireworks and then we would sleep in the next day. Now that my boys are older (9 and 12 years old), they don’t require as much sleep. We generally do rope drop until about 1pm, afternoon break, dinner, and then back to the parks for a few hours. I hope you have a wonderful vacation! A tip for international guests from Europe: use the jet lag! With jet lag you automatically get up early in the morning, so don’t try to totally change your bio rythm. Better try to get a little sleep in the afternoon (or if you as an adult don’t need it, let you child do it). We are in luck and our little one sleeps in the stroller. It was no problem to get up early as long as we had our stroller with us and didn’t force him to stay awake. With the morning times, I agree. I get up at 6:30, take a shower and wake up my husband and at last my son. So we are at 7:15 at the Food Cort and at 8am at the Bus Stop. I enjoyed the even earlier mornings most. The sunset over the lagoon at MK is beautiful! Nicole – Great idea using the jet lag to your advantage! I love the early mornings in the parks, too. During a solo trip this year in March, I was actually at Magic Kingdom by 7:30am in time for the 8:00am opening. It was such a strange and wonderful feeling to be walking through Frontierland completely alone! We always visit the week when DST ends (Fall back) so getting up early is easier than normal! It’s true that the first couple hours feel so luxurious and by 11am, you feel like you’ve accomplished so much. Plus, we tend to eat meals earlier which allows us to miss the lunchtime rush (and more availability for dinner reservations). Lissa – Nice idea taking advantage of DST ending plus fall is such a perfect time to visit Disney World! We always eat all of our meals early too – 7am breakfast, 11am lunch, 4pm dinner – which allows for a very tasty Disney dessert right about parade and fireworks time! I know, right? Believe me, Jay, before my hubby and I had kids, we were able to pack everything we needed for an entire week in Disney World in one carry-on bag that we didn’t actually pack until about 3 hours before our flight. Babies change everything (for the better)! You budget 75 minutes in this article to get from your hotel to the park entrance. Even if this is just a worst case scenario, it’s *horrendous. * Worst Case Scenario when you have a car is 25 minutes from any hotel on WDW property. And that assumes some kind of holdup or traffic jam. It’s a 10 minute trip. You spend more time on the monorail for Magic Kingdom than you do in your car. Articles like this reinforce why I’ll never rely on Disney transportation. JLLKPrice – I can completely see your point about Disney transportation. During our annual summer trip, we always rent a car. During our other trips throughout the year, we use Disney transportation. There are certainly pros and cons to both options. We do find that taking a bus to Magic Kingdom (even if we have a car) does save us a bit of time. For those that aren’t familiar with driving to Magic Kingdom – when you use Disney transportation from your Disney resort hotel whether it is bus, boat, or monorail, you are dropped off at the entrance gates of Magic Kingdom. However, when you drive to Magic Kingdom, you have to park at the Transportation & Ticket Center parking lot. From there you can walk (minimum of 5 minutes from the closest spots) or take a tram to the Transportation & Ticket Center where you will need to hop on a monorail or ferry boat to the entrance of Magic Kingdom. This is the only park that I would recommend using Disney transportation even if you have a car available. For all other parks, you’ll definitely save yourself some time by driving your own car. We use the “jet leg” as well. Last time we stayed of site for our first night. Our son woke up at 4, the rest of the family at 5. We got dressed, drove to OKW, got our tickets and went to MK, where we arrived just in time for the EMH opening. A quick snack from Main Street Bakery (my husband needs a reaaaaalllly tall coffee in the morning) and of we were to Fantasyland. The only downside is, our kids (than 6 and 9) didn’t sleep in the afternoon, but we took a break. By 8 and back in the parks he was so tired we had to go back to resort. We only saw Illumination on an Illumination cruise we took with more than 20 people (on 3 boats) from a German Disney Forum, Wishes from the TT and our son sleept thru Fantasmic. Hopefully it will be better next year. We did matching shirts last year and so I packed one big bag for the complet family for each day. It was easy to spot the kids and we have great pictures with no color clashing. It would save a lot of plastic (and the enviroment) if you just rolled up the clothes and then stacked them up in your suitcase. Just saying, it seems like you spend alot of money on baggies here. I save the baggies in my suitcases and reuse them on each trip. We found that breakfast in the rope drop area (as Heidi suggested) is the most critical tip. The kids enjoyed it, it passed the time waiting for the parks to open, and we didn’t waste time having breakfast in the hotel room or the crowded QS at the hotel in the morning. Also, the kids wouldn’t need a mid-morning snack, so we could hit the rides hard until 11 am, with no fastpasses, and just do an early lunch. @Lucy – we had no real objection to baggies since vacations are rare anyway, but we go in November, so picking outfits in advance is not always realistic. Weather forecasts can turn from 80 degrees and sunny to 60 and cloudy. We practically bring each of our boys’ entire wardrobes – any clothes that fit are coming with us! To save time, when we pack for the trip, we stuff a pair of socks in one pocket and underwear in the other pocket of each pair of shorts or jeans, which allows us to pick outfits the night before each park day. Ugh, all these ziploc bags and plastic waste all to save 20 minutes in the morning. I also can’t see how it takes an adult 60 minutes to get ready to visit a theme park.